Why do some companies sell for a superpremium price while others don't? 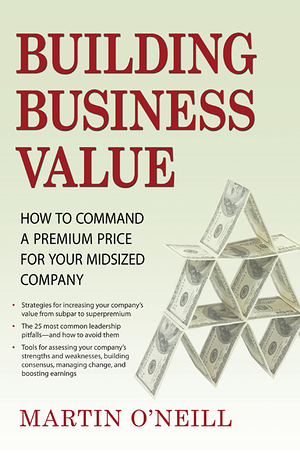 If you're an executive of a midsized company, what do you need to be doing right now to build business value and command the highest possible price for your company? Business leader Martin O'Neill says it's time for leaders of midsized companies to make building business value their number-one priority. Building Business Value presents helpful tools and strategies for executives, founders, managers, and entrepreneurs of companies with revenues from $5 million to $100 million to build premium value in their company. "The success of my company is a testament to Marty's principles in Building Business Value. The value we created far exceeded our highest expectations."